Get the book for the next week for only $.99! I have been a full-time Yoga Professional for 25+ years, supporting a family of four for the past 15 years. During that time, my income from actually teaching classes has never been more than half of my total income. I have always created other revenue streams to make up the difference. I wrote this ebook to help Yoga Teachers everywhere learn from my experience. 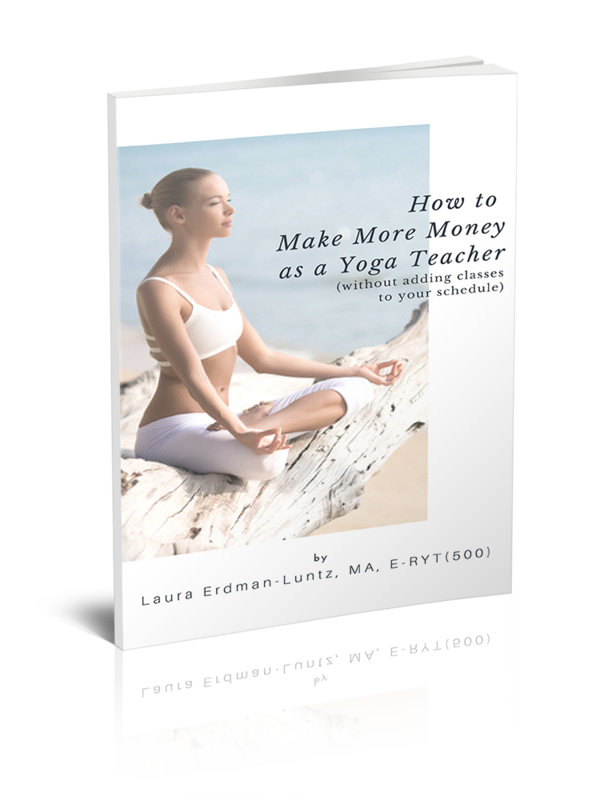 I share good, better and the BEST way to make more money as a yoga teacher. I also share resources, including websites, software, equipment, etc. so you can take the next step easily. Join my NEW Facebook page especially to help Yoga Teachers make business decisions.